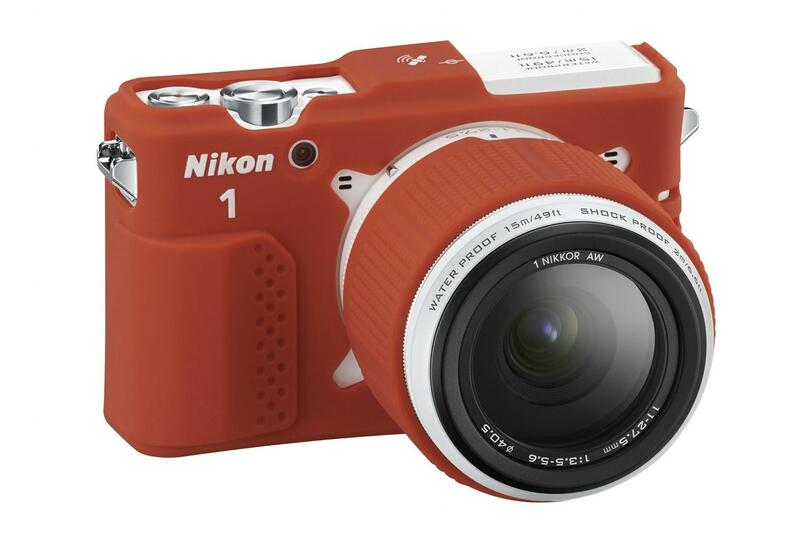 Check out our review of the Nikon 1 AW1 digital camera. If you’ve traveled to exotic locations, you probably encountered this dilemma: You want to bring with you a better camera, but you’re worried about exposing it to the elements and damaging it. You could bring a rugged point-and-shoot, but you want better image quality than what these compacts can offer. If you face this conundrum, Nikon has a new solution in the Nikon 1 AW1 compact system camera (CSC) – what it refers to as the “world’s first waterproof, shockproof interchangeable lens camera.” The AW1 will go on sale in October as a one- ($800) or two-lens ($1,000) kit (the lenses are also rugged), available in black, silver, or white. The AW1 channels back to Nikon’s old Nikonos 35mm underwater cameras that launched in 1963 and ended production in 2001. The Nikonos were highly popular for underwater photography. In fact, the Nikonos is the successor to the Calypso, which was developed and used by Jacques Cousteau. But the AW1 goes beyond just being water friendly. How tough is this camera? The AW1 is waterproof down to 49 feet, can be dropped from 6.6 feet, and can withstand freezing temperatures down to 14 degrees Fahrenheit. The only thing it isn’t is dustproof and fireproof, but for all intents and purposes it’s pretty rugged. Every part of the camera is completely sealed, including the area around the flash. Specs wise, the AW1’s interior guts and performance are nearly identical to the current Nikon 1 J3: a 14.2-megapixel CX-format CMOS sensor (with no optical low-pass filter), EXPEED 3A image processor, hybrid autofocus system with a 73-point AF array to lock onto moving objects, ISO range of 160 to 6,400, continuous shooting up to 15 frames per second (60fps is focus is locked), and Full HD 1080 video recording up to 60i and 30p (plus, two slo-mo modes at 400fps and 1200fps). 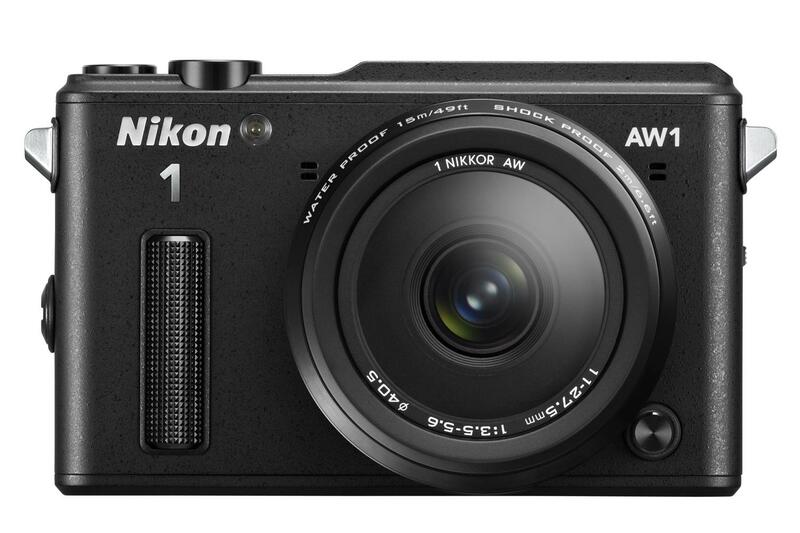 Like nearly all Nikon cameras, the AW1 doesn’t have Wi-Fi built in. But it supports the WU-1b adapter for wireless transfers and uploads, as well as remote operation from an iOS or Android device. 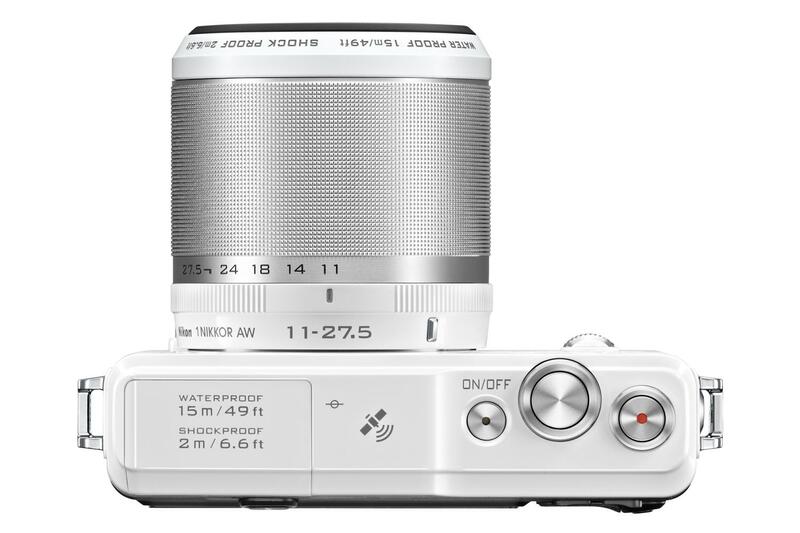 Besides the rugged attributes and body styling, there are features unique to this camera. 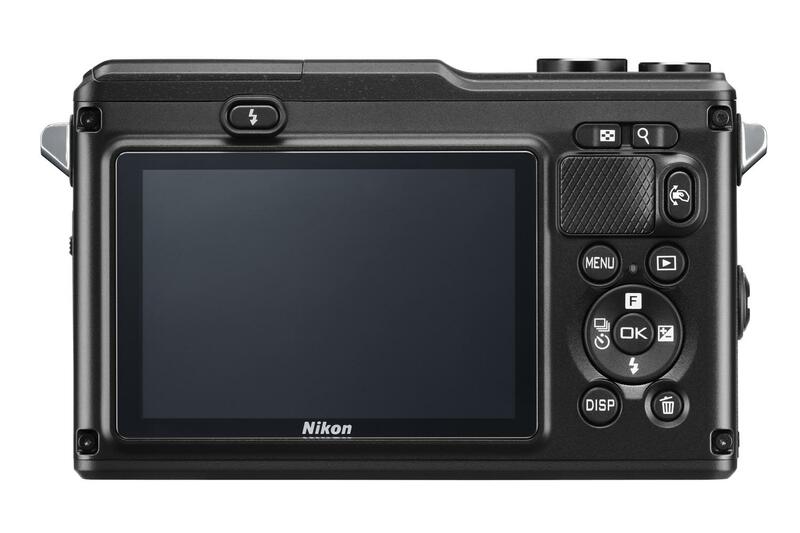 The AW1 has something Nikon calls Action Control, which lets you make adjustments just by swinging it in the air or underwater – without having to drill through any menus or button pushing. After you dive into the water with the AW1, an Underwater mode auto selects the appropriate settings based on the activity: standard, scuba, or close-up. There’s also Underwater White Balance for correct coloring, and Underwater Distortion Control to correct image distortion caused by the water. Other “outdoorsy” features include a virtual horizon, altimeter depth gauge, and GPS. As a landlubber, the AW1 works with all of Nikon’s Nikkor 1 lenses and F-mount Nikkor lenses via an adapter, but you won’t be able to use this combination in a fully rugged manner. For the times you want to get a little adventurous, Nikon made two rugged lenses to complement the AW1: the 1 Nikkor AW 11-27.5mm f/3.5-5.6 and 1 Nikkor AW 10mm f/2.8 lenses, both waterproof, shockproof, and freezeproof down to the same specs as the AW1. The faster f/2.8 lens lets you create a soft background, but, obviously, you can’t swap lenses while underwater. Note that the rugged lenses are not supported by other 1-series cameras. We had a very brief opportunity with a prototype of the camera recently. We didn’t take it into the water, up the mountain, or anything like that, but even though Nikon says the AW1 is lightweight, there seems to be a greater heft than the J3 and the construction also feels more substantial. The J3 has rounded corners, while the AW1 looks more blockish. Whereas the back of the J3 is minimal and clean, the AW1 has more buttons and controls – probably because you want to spend less time fussing over settings when underwater. Textured surfaces on the lens barrel and front give your hands and fingers a more secured grip, especially when under water. Otherwise, the camera operates and feels like any Nikon 1-series model. Read our review of the J3 to get an idea of how the AW1 will perform. So, why would you want the AW1 when you can get an underwater housing for the J3? Price and flexibility. The underwater housing for the J3 costs $750, which is nearly the price of the AW1 with a lens. Yes, it goes down to 130 feet, but unless you’re going deep-sea diving, it’s an expensive add-on. Plus, you won’t get the other rugged features and specialty modes of the AW1. Unfortunately the rugged lens options are limited to two right now. Accessories for the AW1 include a skin for extra protection and grip, an underwater Speedlight, and a filter attachment to protect against condensation. Both the Speedlight and filter will arrive in 2014.